Watch and listen to more chapters from The Ghost Ship on the Humber here. Watch a video Q & A I did recently with Hamstel Junior School…. Watch a video montage of my author event with South Dublin Libraries Children’s Book Festival here. Download the accompanying Reading for Pleasure Comprehension Pack here. Watch me reading Foul Play at Oldham Academy here. Watch Foul Play 5 : Own Goal – the film trailer made by Ghyllgrove School here. Watch the amazing Squad : Black Op book film trailer, made for me by Arun Hawkes here. 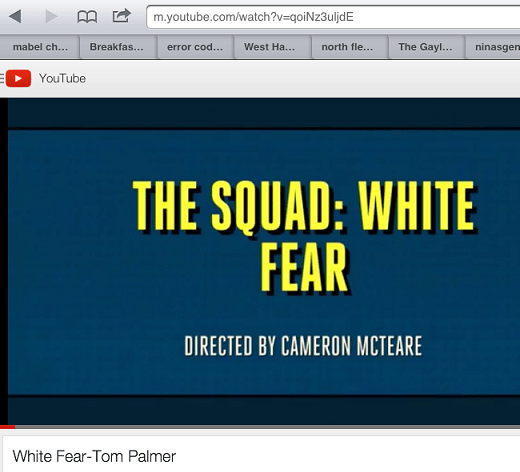 Watch the fantastic Squad : White Fear book film trailer, made by Cameron McTeare here. There are lots of videos about my First World War book, Over the Line, from here.